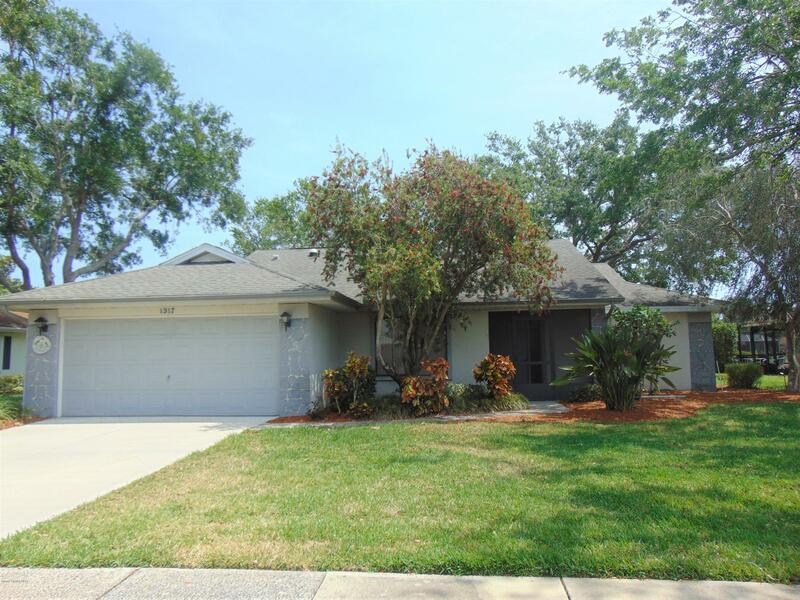 1317 Independence Avenue, Melbourne, FL.| MLS# 814244 | Free Brevard County MLS Home Search. No Agent Needed. Daily Auto-Email Listings of All Brevard County Homes and Listings For Sale That Meets Your Home Buying Criteria. Brevard County Real Estate Market Information. Charming WATERFRONT Expanded Bangor Floorplan. Spectacular water views and conveniently close to clubhouse and amenities. Split plan, vaulted ceilings, Florida room and screened back porch. Formal dining room, breakfast nook and indoor laundry/mud room. Priced to sell - MUST SEE!!! Indian River Colony Club is a Private Country Club and an active 55 plus community with an extensive maintenance program for each home, an 18-hole golf course, Fine Dining Restaurant with executive chef & the 19th Hole Restaurant and Bar, Fitness center, Heated swimming pool, Tennis courts, Croquet, Bocce ball, Shuffleboard, Pet-friendly, Gated community with over 40 activities groups that have you feeling like you're are on vacation. Home to over 600 Military Veterans.